I continue to be on the lookout for good new dividend-paying shares for my High Yield Portfolio. These high-yield shares form Level 6 on the DIY Income Investor Income Pyramid). Drax is a FTSE 350 company and has a 6.2% yield. It produces 7% of all UK electricity at its coal-powered generation station in Selby, North Yorkshire and is the biggest such power station in western Europe. Citywire's Smart Investor has recently reviewed Drax. 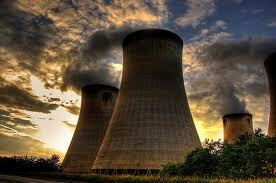 The Smart Investor's verdict: "Drax is not perfect. Buying a slice of it comes with a fair amount of risk. However in terms of value, financial viability and performance it is attractive at current share price levels." Maybe - but the lack of operational flexibility worries me: and I think that there are other more attractive opportunities in the energy sector. Almost bought Drax for my HYP today. But with all the turmoil on the markets this week whatever you buy one minute, it's cheaper the next minute! The photo of Drax Power Station on this page belongs to me and is licensed under a Creative Commons Attribution-NonCommercial licence. This means that if you continue to use it, attribution must be credited to me. I realise that you may have obtained the image from another source. Great photo - source added. Thanks for letting me use it.